The Fenix SL is Ridley’s premier all-round carbon fibre road bike providing a brilliant mix of light weight, strength and stiffness balanced with enviable amounts of comfort thanks to its clever engineering and carbon layup making it ideal for long days in the saddle where you want to perform well without feeling beaten up and fatigued at the end of your ride. 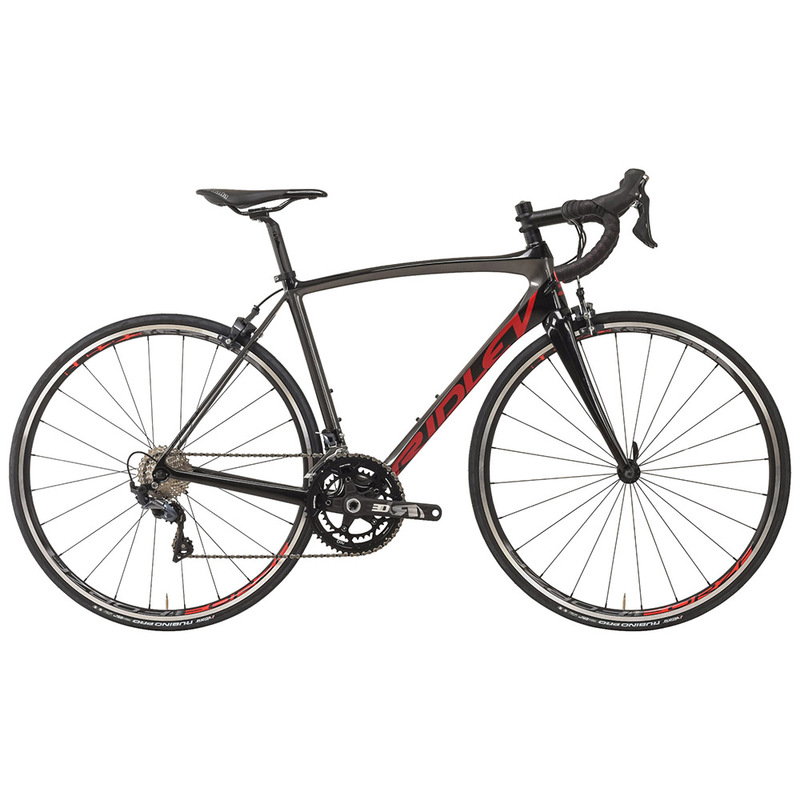 The Fenix SL is no slouch though, having been raced by Lotto Soudal at the highest level of professional road racing, with multiple wins to its name this bike excels in tough racing conditions accelerating and holding its speed when you make that decisive attack. The Fenix SL frameset features unique diamond shaped tubing to create reinforced edges for a light but robust frame with increased impact-resistance; slim seatstays provide a small amount of compliance to isolate you from road buzz while a large bottom bracket area provides a super stiff pedaling platform that allows you to transfer all of your power through to the wheel. The Ridley Fenix SL features the new Ultegra R8000 11-speed mechanical groupset providing crisp, predictable gear shifts every time. A Rotor 3D30+ chainset featuring 36/52T chainrings combined with a Shimano Ultegra 11/30T cassette gives you a generous spread of gears that will enable to you conquer the hardest, hilliest rides imaginable; Ridley have also specced lightweight Forza RC23 wheels to keep you rolling fast and enable you to accelerate instantly up steep climbs.